The Amon Team | Breckenridge Colorado with LIV Sotheby's I.R. 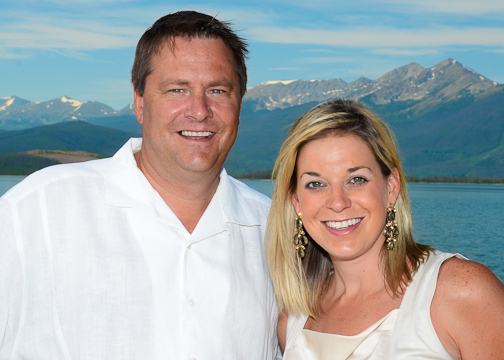 With over 35 years of combined Summit County real estate experience, Bret and Meredith Amon not only have the experience necessary to navigate clients through today’s complicated mountain resort real estate market, they understand that homes aren’t made simply of wood and stone, but of experiences and memories waiting to happen.Both Bret and Meredith are accomplished brokers with a wide range of transaction experiences. Their team approach allows them to be generous with their time and blends their track record and expertise together, offering a keen assessment of clients' needs. As elite real estate brokers in the mountain area, they evaluate clients' goals, then leverage their extensive network and resources to deliver maximum results and an exceptional level of service. Respected and trusted by clients and builders, the Amon team continues to add to its portfolio of new construction projects including the Breckenridge homes at Peak Ten Bluffs and new construction sales currently at Columbia Lode and Shock Hill in Breckenridge. Summit county residents and fully engaged in their community, Bret and Meredith feel privileged to raise their daughter and two energetic springer spaniels surrounded by the majestic beauty of the Rocky Mountains.